Special Note: Load is only shipped within US & Canada. International shipping NOT AVAILABLE. 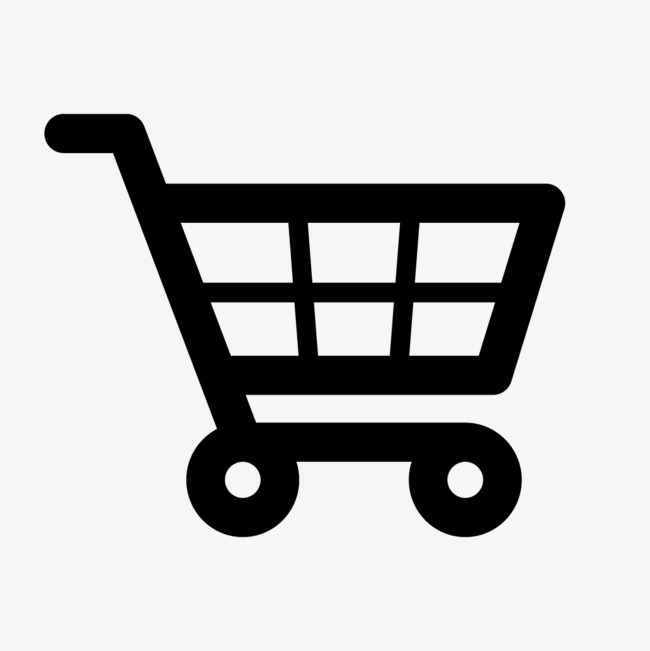 Availability: Free Shipping in the US - Load arrives in about a week. 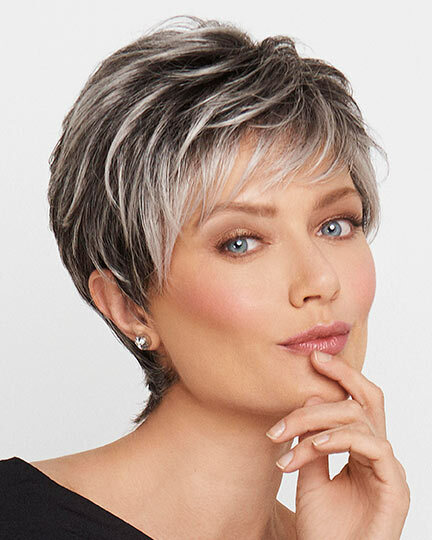 Bang: 5.0", Crown: 9.25", Sides: 8.5" , Nape : 9.5"
Load by Ellen Wille is a voluminous, shoulder-length style with an all over wavy texture. Load seduces with its feminine charm. Load is part of the Ellen Wille Perucci Collection-the next generation wigs! 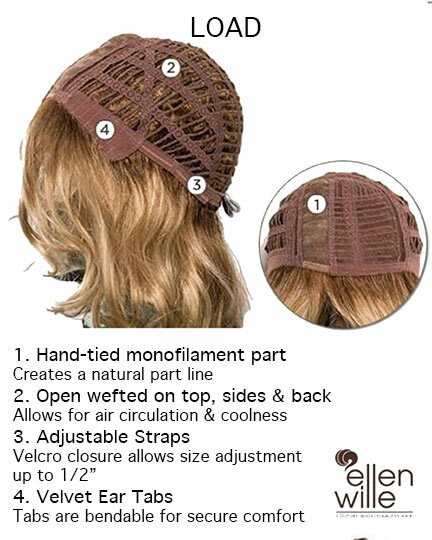 Ellen Wille Load wigs feature a RTW lacefront with a monofilament part. 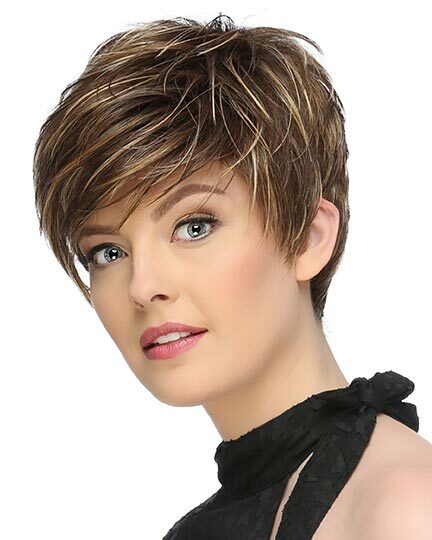 The monofilament part creates the illusion of natural hair growth where it is parted, while the ready to wear lace front that extends from temple to temple provides a natural looking front hairline. 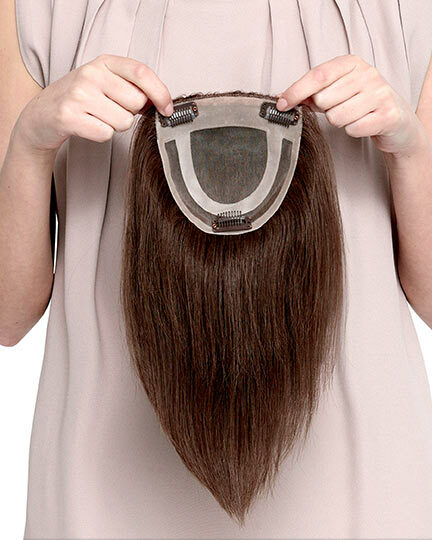 Load has an open wefted back and sides for air circulation and comfort. Adjustable straps with velco closures allow for quick size adjustments up to 1/2", while the velvet ear tabs are bendable for a more secure fit and all day wearing comfort. The density of the ready-to-wear synthetic hair of the Load wig offers a looks that is more like natural hair and requires little to no customization or thinning. The second color way shown of Load is Hot Chilli Rooted. The Load wig weighs 119.0 grams. There are 11 colors available for Load. If you would like to discover other products that share some of Load's qualities try the links below.